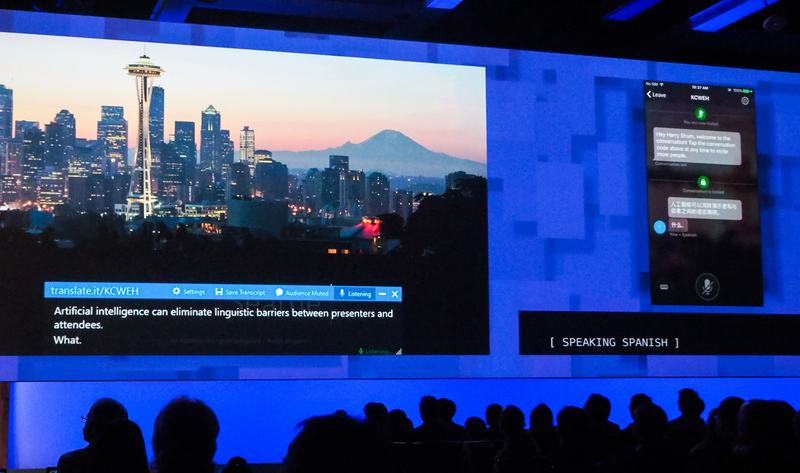 A lot of what Microsoft is showing at its Build conference this week is squarely aimed at developers. But in the barrage of news about Azure, Visual Studio and .NET, the company also showed off a preview of a new add-in for PowerPoint that is aimed at everyday users. The Presentation Translator can automatically provide real-time translated subtitles or translate the text of their actual PowerPoint presentation while still preserving the original formatting. In its current iteration, the service supports Arabic, Chinese, English, French, German, Italian, Japanese, Portuguese, Russian and Spanish. While the focus here is on translation, you also could use the same service to caption a presentation for audience members who are deaf or hard of hearing. This project, which comes out of Microsoft Garage, is now in closed preview, but you can sign up for early access here. The add-in is powered by Microsoft Translator live and is basically an example for how these AI-powered services are slowly but surely finding their way into productivity apps. Indeed, PowerPoint is somewhat of a hotbed for Microsoft’s efforts in this area. With QuickStarter and Designer, Microsoft’s presentation software already features two tools that can automatically generate basic slideshows around a topic and make them look good based on their context.